Today’s workers are becoming increasingly more mobile, and they’re working on many different devices in a multitude of locations. 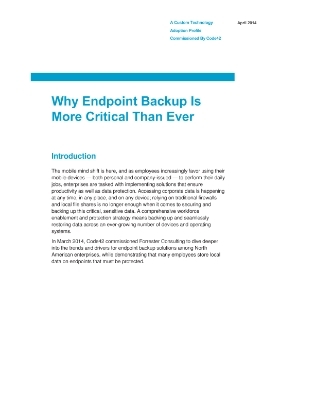 This creates a number of questions in terms of data loss on the endpoint. How prepared are you? Access this white paper to learn why relying on traditional firewalls and local file shares isn’t enough to protect against data loss. You’ll also get the facts on how you can build a comprehensive workforce enablement and protection strategy.